There is something about a bright colored handbag that makes a woman more interesting, or daring if I may say. You have the typical colors black,brown, and grey but when someone with a bright colored handbag walks by it translates differently. 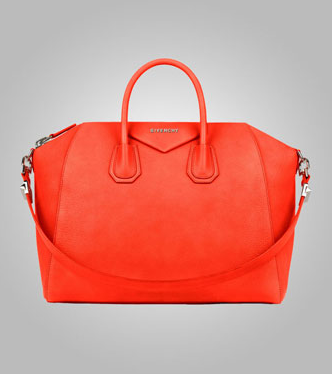 I came across this orange bag by Givenchy.